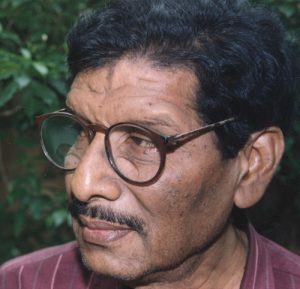 AkshayaMohanty (AM) was fairly eclectic in his reading. He read almost whatever came his way. That was in the mid 60s of the last century. He had been out of college almost a decade before and I was still enjoying the excitement of being a sophomore at Ravenshaw. We had a practice of exchanging books, though he always accused that I borrowed more than I lent. During a summer vacation, he gave me to read Four Screenplaysby Ingmar Bergman. 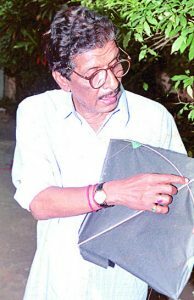 The book belonged to Nitai Palit, who was then honing his craft as a director of mainstream Oriya films. The book was large and fat, of crown-quarto size with high bulk paper, and it had on its cover, the silhouette of death dance from The Seventh Seal. AM was keen that I read what he was most excited about, the opening dream sequence of Dr. Isak Borg in Wild Strawberries. In those years, we had little access to Hollywood films, let alone European cinema. The picture halls in Cuttack, apart from their regular run of Hindi films, played some Bengali melodramas in matinee shows. I had to satisfy myself about English films by reading their reviews in the dak edition of Calcutta Statesman. In the absence of any access to viewing, reading of a screenplay in a familiar language was the best one could do. Foreign films, with the poor projections in our halls, and absence of subtitles, were always fuggy and unclear. Therefore, reading screenplays was indeed a very vivid and intimate experience. Wild Strawberries and The Seventh Seal continued in our conversation as the quickest reference to post-war modern cinema. While cycling in Cuttack streets, AM would often recount the sequence of pale faced death, playing chess with the knight. I would not be surprised, if the first streak of his obsession with death came from this sequence. 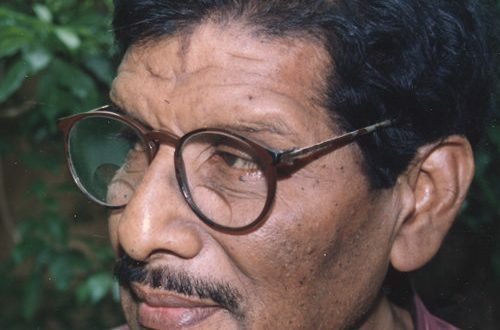 I have depended on this long prologue to prove the point that AM was one of the few who already had a fair sense of world cinema, when he tasted the scanty, malarial waters of Oriya films. Even after 75 years, it is still lying in a puddle, largely motionless, without much energy for creating ripples. AM of course entered into it with great ecstasy, when he lent his young voice to a bunch of college boys cycling on Ravenshaw campus in the film Ma in late 50s. The songGori Gori Gori is still hummed with enthusiasm. That was his first signature as a singer in Oriya films a career that continued till his last year (2002), spanning over 100 films, where either he sang or composed, and often did both. It was a career much more complicated than a love story, full of glitz and glitches, strife and deceit, and paved with broken promises. The twist started immediately after Mawas released and his peppy number became a hit. It was said that his thin, reed-like rendering was unfit as a playback for the hero. This castigation made him jobless for six years. 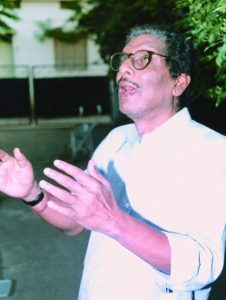 As a music director, Akshaya Mohanty ruled the waves of Oriya film music. 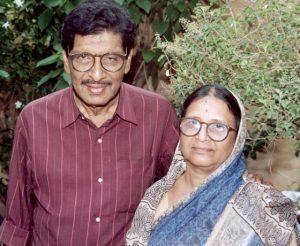 Ever since 1965, when he scored the music for Malajanha, a film based on a tender love story of Upendra Kishore Das, he never looked back. Although the film did not do well at the box office, the songs cast a magic spell on the audience. It had a kind of undying melody that was similar to C. Ramchandra’s Anarkali. AM was then a bachelor in his early 30s, with crippling fears of a first timer. Malajanha also brought to the fore, the incredible work of a women lyricist, Binodini Devi. The acme of the synergy was Rakata Tala Mala, that heart-rending melody, taken from the Sufi singing of Orissa. The pitch and ascension of its delivery sounds so close to what Rahat Fate Ali Khan, does today. 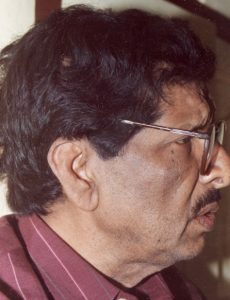 If Malajanha was the aurora of Oriya film music, 10 years later in 1975, AM’s poetic waltz with music of cinema in Jajabara was its high noon. Yet Jajabara too collapsed at the box office. It had three directors including AM. The story of its making was a saga of conflict between titanic egos driven to greater morass by a bunch of feminine wiles. Jajabara may have killed his directorial aspirations, but its theme song, which had the idiom of modern poetry, still glitters in the gallery of immortal film songs. It was not difficult for AM to dominate all aspects of music. He was an adventurer and stalked newness. He was unafraid of new instruments or digitalised devices, and was curious about Virtual Studio Technology (VST). During his sojourns in the US, a country he visited twice, he would spend considerable time in music shops looking at those wondrous music machines. He admired Elvis Presley, Dylan Thomas, Joan Baez and Harry Belafonte for their music. He would then effortlessly go to the other end and sing Salabega and Bhima Bhoi with great aplomb. Once he explained to me how he had borrowed from Mozart’s fifth symphony to tune the title song of Badhunirupama. He sang the best, he composed the best, and no one from his contemporaries wrote better lyrics than him. This was a lethal combination. Much more than his predecessors, he had a feel for the idiom of cinema. Much more than his contemporaries, he experimented, and fought a losing battle with producers and directors to make his music a part of the film language. He wanted film music to be seamless, with a developed context, and not a mere ploy for suspension of disbelief. All his life he dreamt of making a musical in Oriya. While hanging out at Buxi Bazar during the evenings, he would talk of Can Can, South Pacific and West Side Story. His eyes would brighten with anticipation. But Oriya cinema was taking more time to grow than primates had taken to be homosapiens. AM was a Leo, going by the Zodiac. And like a Leo, he loved showing off. He had the gait and flamboyance of a lion. But he was caged in Cuttack and lost in his labyrinth. Essentially he was a Cuttack boy who found his El Dorado on its mean streets. He made occasional forays to Mumbai or Calcutta, and even Chennai for recordings, but never aspired to live or die anywhere outside Cuttack. Once he told Md. Rafi that he was as popular in Orissa as Rafi would be in Mumbai. In Orissa, AM had no competition. He had only gaping admiration or blistering envy. 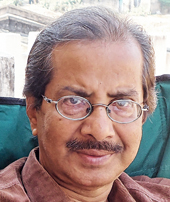 When he acted as hero in Kie Jite Kie Hare in 1981 against Sujata Anand, people thought it was another imprudence like his contesting Parliamentary election for the Cuttack seat. Yet they loved his showmanship, as his once reed-like voice now matured to a baritone, became a part of the modern folklore of Orissa. AM did not see the winter of his life. He was ageless. He died in the mid-noon of his creativity. But he must have heard from the hospital bed the marriage bands on Cuttack streets playing his film songs, and noticed the cell phone caller tunes of the new generation full of his oldies.